I have been using the P35 front hub conversion kit for over a year now. 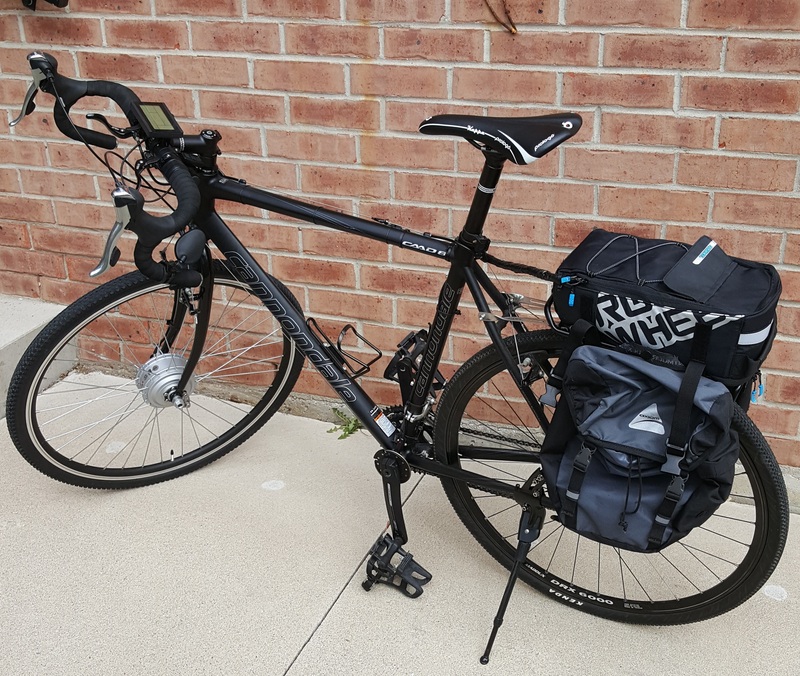 My bike is my main mode of transportation, especially to work and back every day. It performs outstandingly well. Plenty of power for the hills and the battery like is exceptional. It's easily the best investment I've made for my bike. Vancouver BC, Palm Springs CA..
Arnprior Ontario Just 40 min west of Ottawa the nations capital. 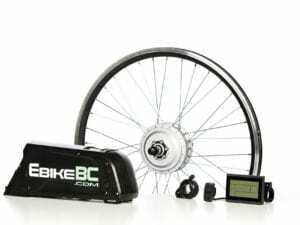 Bought a conversion kit for my Fat bike and had it installed by ebikebc since it came with a warranty. Upon completion of the installation within a week, the bike looked fabulous. Had the bike tested the next day and I couldn’t have been happier by the performance and power of the bike. The kit was very simple to use and the performance was acceptable. I would and have recommended the kit to a few of my friends. Be very careful if you choose to use this company. I received a quote from them to purchase an Ebike kit from them. They were very friendly and provided an invoice for me and stated I could receive a further 15-20 % reduction by emailing in my purchase. I used their internet email address and received no response. I went to their store trying to get my order ,only to be told they didn't have all the parts in.. When I got home again( 8 hour drive) i was told they don't stock or have the battery listed on the invoice, but for 150$ more I could buy a smaller battery. They would not honer their original invoiced sent to me. Very dishonest business. 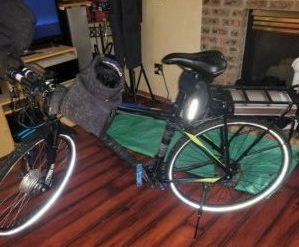 I spent several months researching the best option for converting an old bike into a commuting machine. 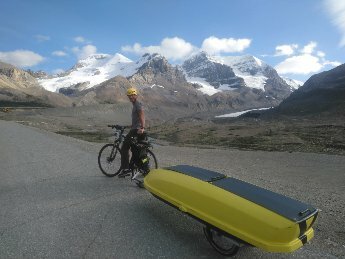 Through all the research I finally decided on the EBikeBC option. I have to say that I was a little apprehensive as I needed something that would flatten out the many hills that lie between my work and home. Upon completing the installation I took my first spin around the neighborhood and was instantly impressed with the systems power. The real question was would it flatten out all the hills for my 30 mile or 50 km commute and what would my average speed consist of? All my questions were answered on my trial run. I arrived to work a few minutes under 2 hours having used just half the battery capacity and feeling completely fresh and not exhausted as I would have been had it not been for my EBikeBC modification. 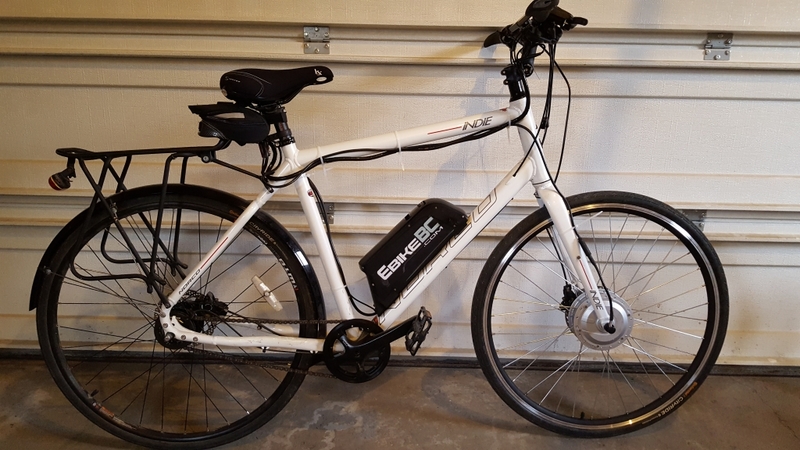 Avoiding the gridlock of Portland's traffic, feeling refreshed by my morning ride, I just cannot thank the folks at EBikeBC enough. You've got a great product and are truly working to improve people's lives. You can't beat that! 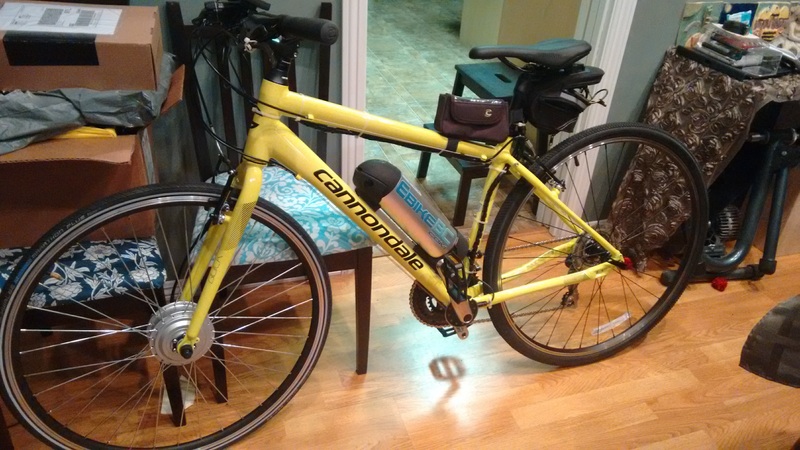 My husband just converted my trail / commuter bike that has been sitting idle because I find the hills in Vancouver too challenging. No longer! 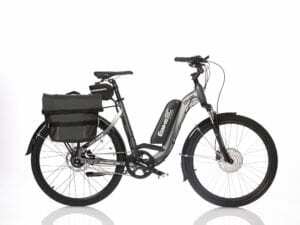 What a marvelous e-bike system, the quality is really good. Now I will never fear to go out for a ride, whatever the hills I may find. 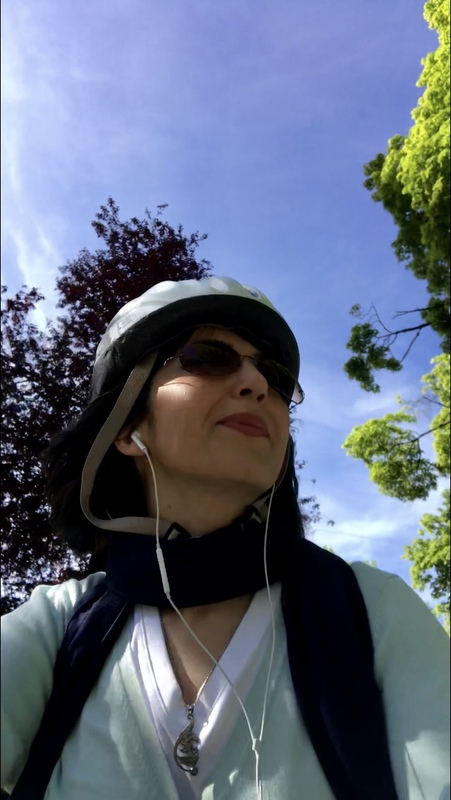 The bonus: with the lower demand aerobically and on my back/leg muscles, I can concentrate more on my form, as spinal stenosis can mean a very sore back if you don't get the posture right while you ride. Bliss. Come on! Discover Vancouver’s beauties!!! 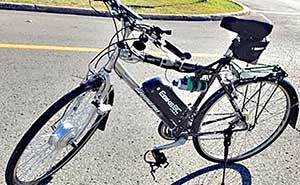 Ebike BC was powerful and fun enough to get me to leave my car in the garage!!! I had a great experience with them! 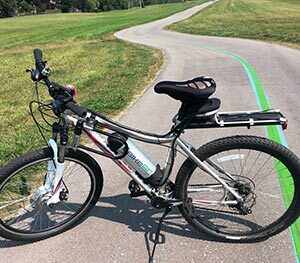 By just adding a small Kit to my bike, now I can pedal 16 km to my job and back every day without breaking a sweat! Enjoying fresh air, beautiful lanes and of course practicing my music!!! 18 km one way commute to work was getting a bit sweaty at times. Tired of bringing along multiple changes of clothes and getting up earlier to make the ride on time and get cleaned up before everyone arrives at the office. 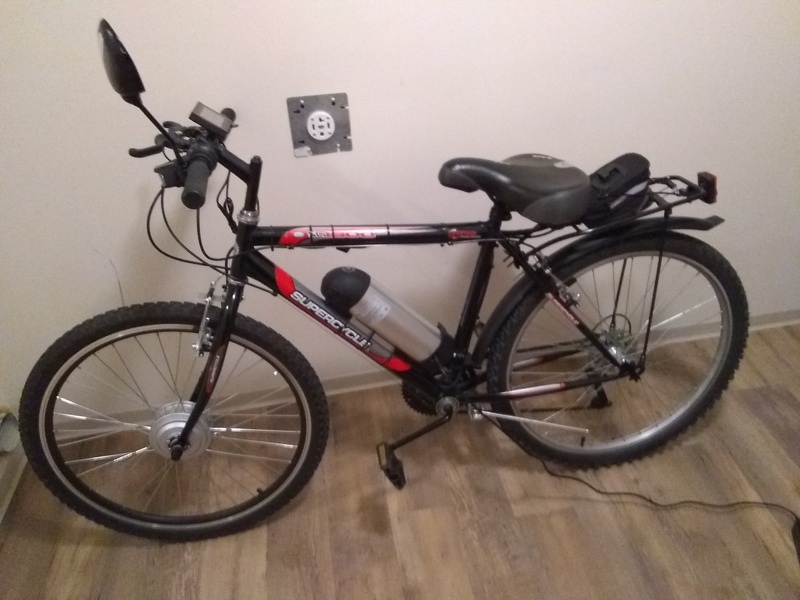 Added a D50 kit to a 50$ bike I purchased off Kijiji (which there are many 80s bikes for dirt cheap but still run great). 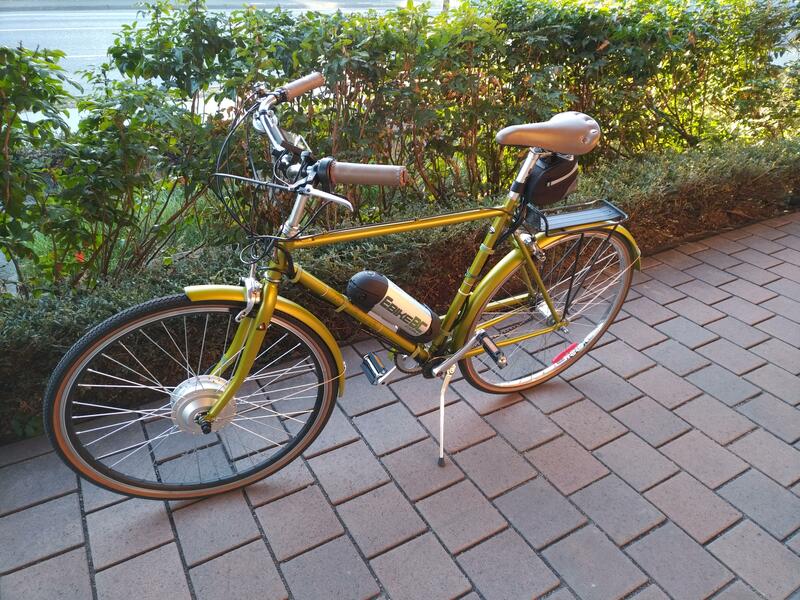 The bike" takes" me to work in the morning and I can pedal as hard as I want on the way home for exercise. Absolutely amazing. Actually faster than my car as I avoid the traffic snarls. Motor is powerful and super quiet. 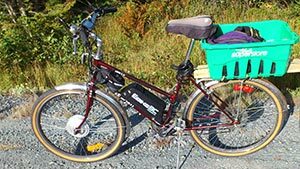 I passed a couple of roadies going up a hill on the way to work and I don't think they realized I was on an e-bike. Although I'm sure they tried - they couldn't pull the 500watts. Must have been something watching a guy in dress pants blow past them. Thanks guys. 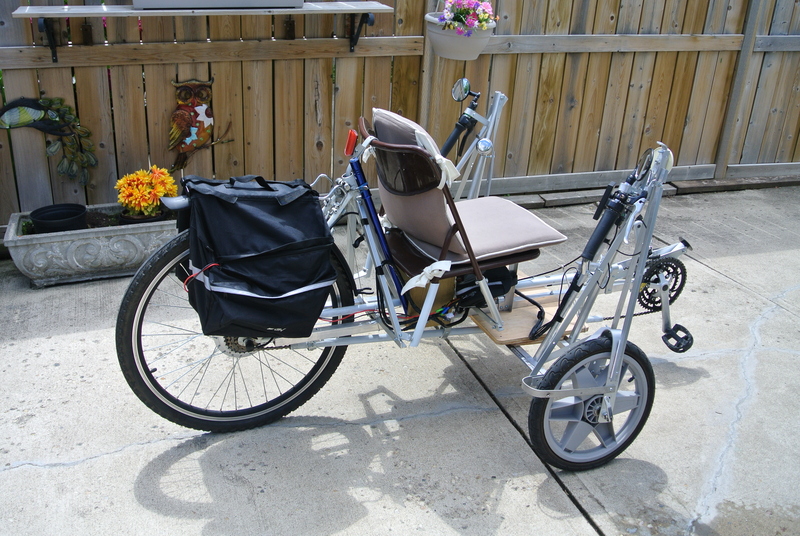 Just to let you know that my son and I have completed the e-trike conversion kit on my HP Velotechnik Scorpion FS. It was a challenge but with Ali’s recommendations, the on-line videos and some improvisions, we got it going. It is great and I am impressed with how it works. I find that level 1 is plenty of assistance... at level 5 it must be like a bullet!!! !...at least very fast!! I am ready for summer!!! Thanks for the great product. 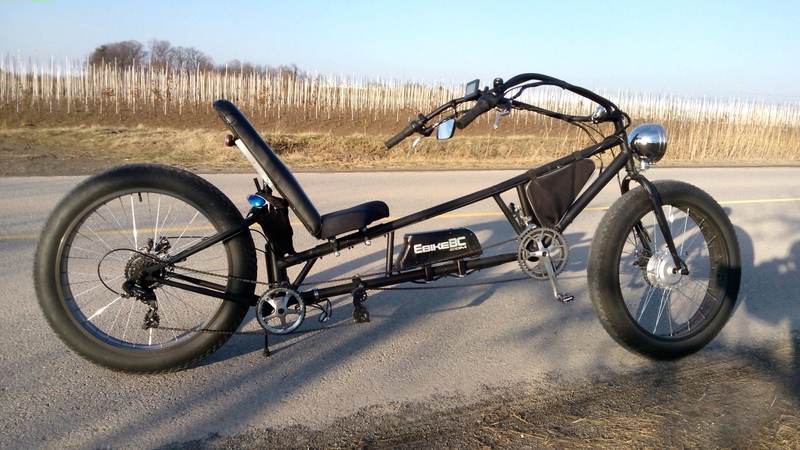 It does work on a recumbent trike... PS.. As a suggestion, an optional throttle for the right hand side would be great. I had to install it in a way that the wiring was pointing downward and that made the actual throttle on the other side of the handle. Just want to thank you Ali and team for a well thought out and well engineered ebike kit. 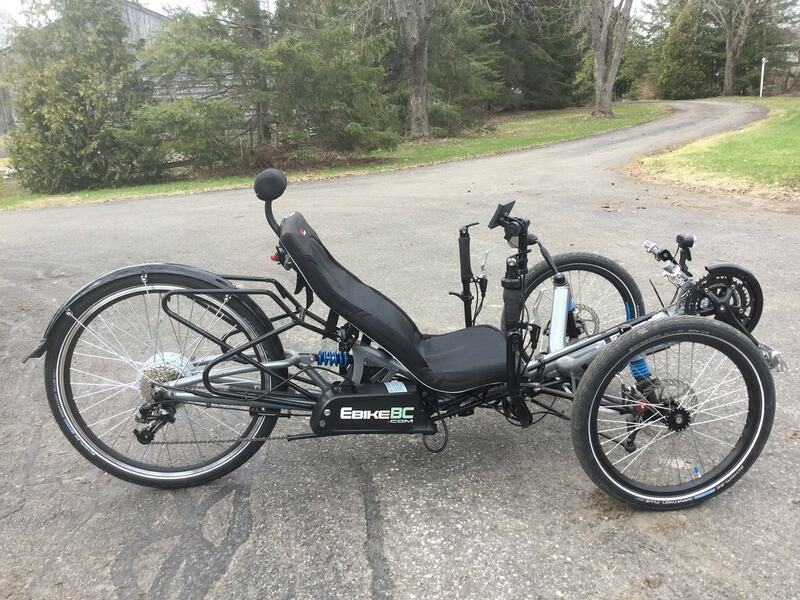 I built a fat tire recumbent bike last spring and with the available gearing I found it quite a chore to get the 60 lb. bike up some of the hills in our area. 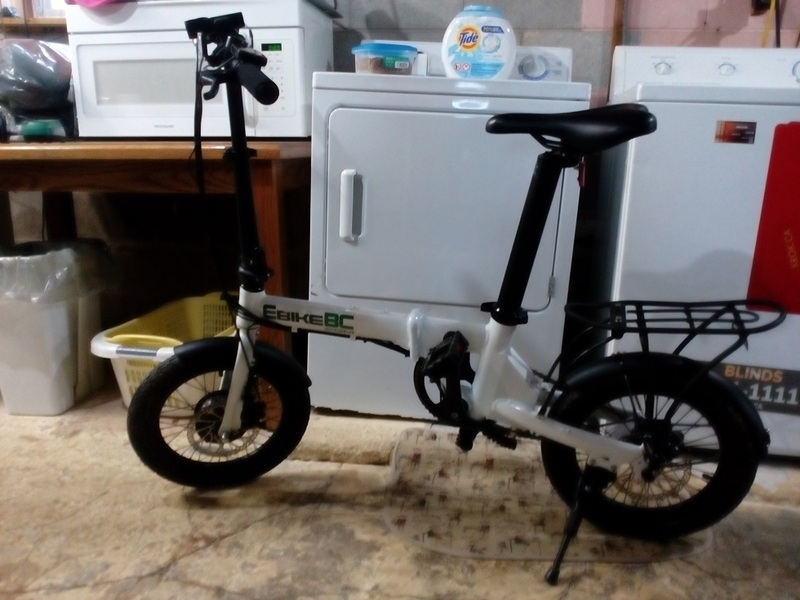 I researched many kits online and discovered EbikeBC's to be the perfect fit that I was looking for. 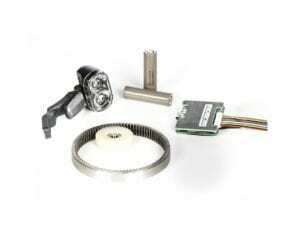 I ordered the 500 watt front hub motor kit last summer and received it in a few short days. Installation was relatively straight forward even though this is a very unconventional bike. I had to make up a battery mount and also drill a small hole in each brake lever for the magnets. I remember the first time I rode it, I felt like superman even in assist level 1 or 2. 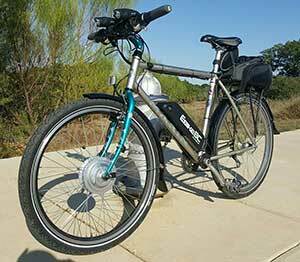 I usually ride in level 1 assist for the exercise and with the 13AH battery get about 1hr. of riding time for each quarter of battery usage. Thank you for a great product and I would highly recommend this kit for anyone. 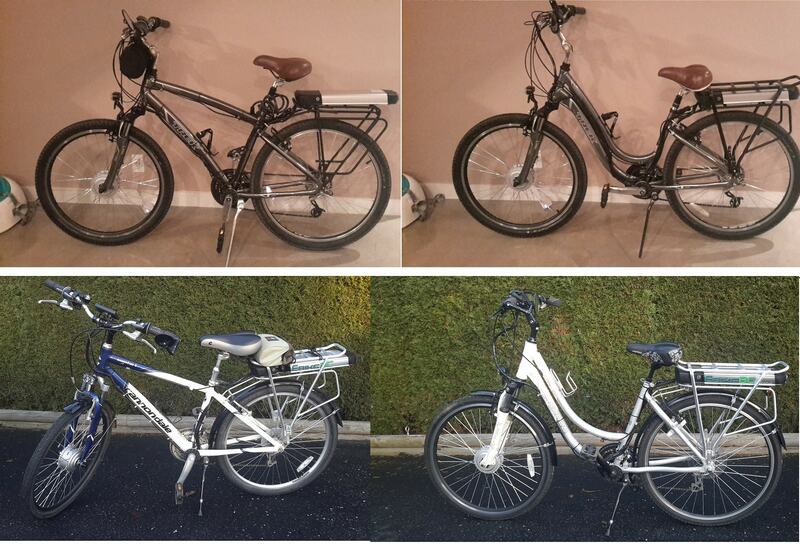 We had fabulous service from the people at EBike BC! 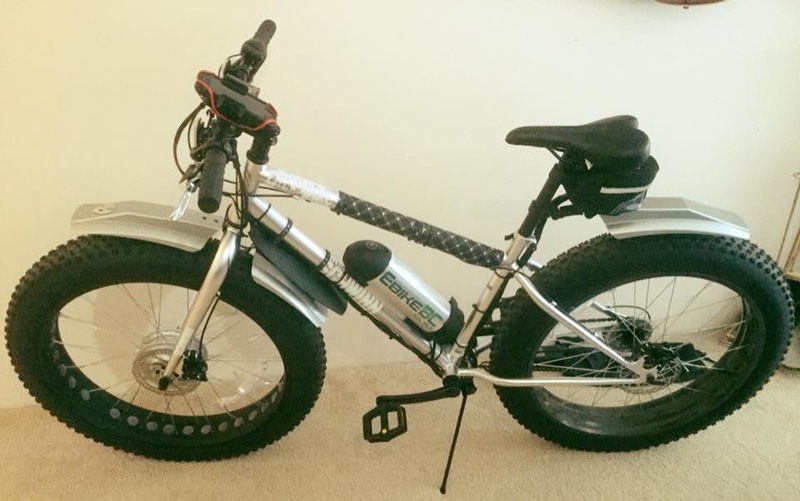 Our situation is a unique is that we were searching for help building an electric bike for our son Henry. Henry is 7 years old and was born with a medical condition with results in weaker muscles. However he wanted more than anything to be able to ride a bike with his friends. 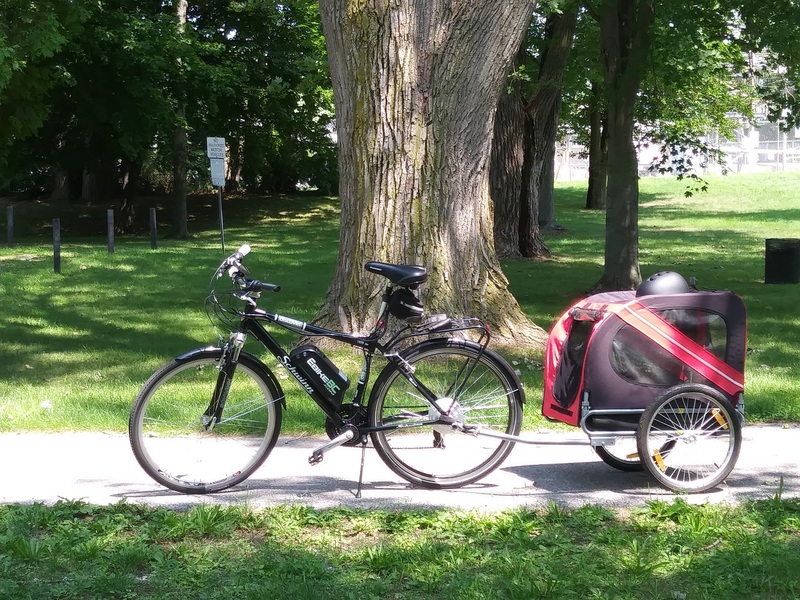 We had done our research and thought we knew what we wanted in a bike, but after searching for almost a year, we had yet to find someone who could build a bicycle to suit our son’s needs. Then we found Ali and his team at EBike BC. From our initial contact through to the delivery of Henry’s new bike – every interaction was professional, confident and most importantly for us... very supportive! From the very beginning Ali’s confidence in his product and his ability to customize as needed to find Henry’s needs was wonderful. After hearing “sorry no, we can’t do that” for almost a year – it was amazing to meet someone who fully believed in not only his products – but in his team’s ability to make the products work for us. As Henry’s is the first child-sized bike Ali and his team had worked with, they went above and beyond spending countless hours sourcing and custom building parts, and learning how to best attach the components while ensuring the bike was not too “top heavy” and remained as stable as possible. 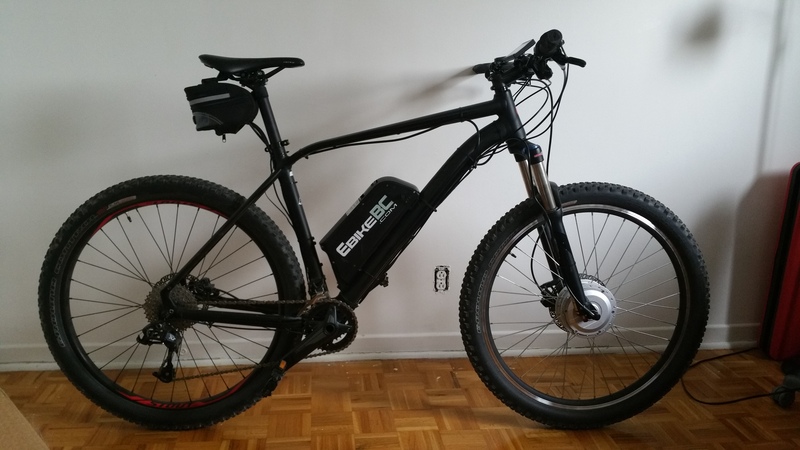 - The modular design of the battery pack allowed the battery to fit on a 20” bike. 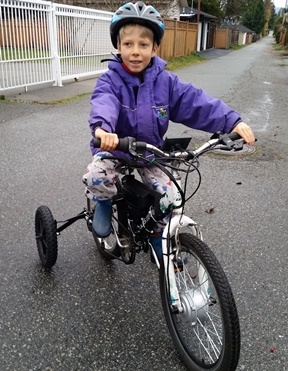 - The front wheel placement of the drive motor meant we could attach a set of Fat Wheels adaptive training wheels to the back wheels thereby providing the stability Henry needs. - Ali adjusted to power output to provide Henry with the smallest amount of power assist needed to allow him to ride, while forcing him to use his muscles as much as he is able. 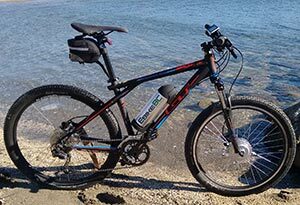 - The multiple safety features provide us with the confidence that the bicycle is safe for our son to ride. We thank Ali and his team so very much for all their time, support and follow up... Henry loves his bike! Great kit at a good price. It came with all the parts, and I took my time over the weekend and by Sunday I was eriding. They helped me put install a twin battery system and I do 150km in a day and pull a trailer for most shoppings. Got rid of the car and that has already paid for the kit. Without a doubt, the best service I have gotten in my 75 years on the planet. They hadn't profited from the original sale of my ebike, having just recently taken over the brand. 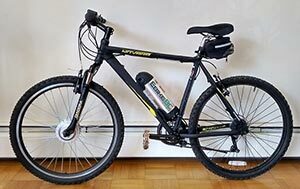 Nevertheless they went to the most extrordinary efforts to make good on some serious problems, including the rebuild of the battery (yes they can) and finally replaced the whole bike, That's huge. That's peace of mind for anyone thiking of a purchase especially considering the lithium batteries which they can service or replace. Very nice folks with a lot of talent and integrity. Sure turned my frown into a smile. 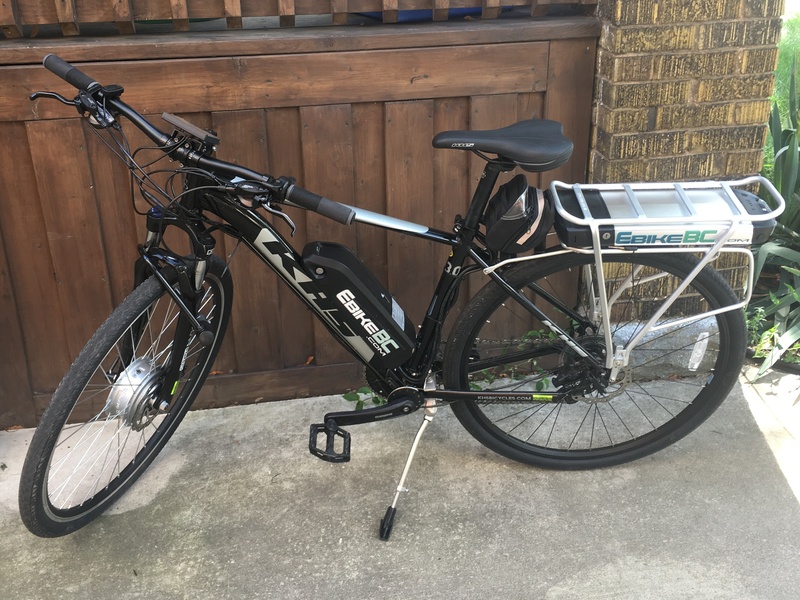 The ebikeBC kit is GREAT! I wanted something that would make my commute from East Van to North Van more manageable on a daily basis, and this does the trick. It does all the heavy lifting up those big hills and over the bridge. The kit itself is pretty straightforward, and the few hiccups I had during installation were resolved promptly by Ali via email. The install videos on YouTube were a great help, too. It all fits nicely on my simple steel frame bike and looks good to boot! The user manual for the many varied settings of the LCD display is a bit of a tough read, but it's all there if you have the patience. 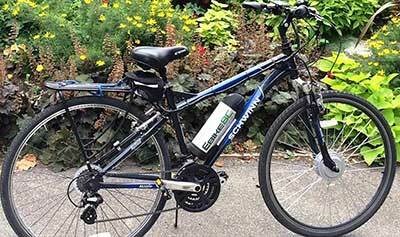 I've only been riding the ebike for a few weeks yet, but so far it has performed flawlessly. The low-assist provides just a bit of help, and the high-assist gives quite a boost. I use level 1-2 on the flats and 4-5 up the hills. The torque is strong but not jerky. The responsiveness of the pedal assist sensor is quick, so I hardly ever have to use the throttle to even get a little boost from a standstill start (but it's nice to know it's there). My only concern is whether the cut-off sensors on the brake levers will last through a season of harsh elements (being only 3M-taped on). However, so far they have worked flawlessly too. My other complaint is a buzzing noise coming from my front fenders (metal), but that's not the ebike kit's fault! 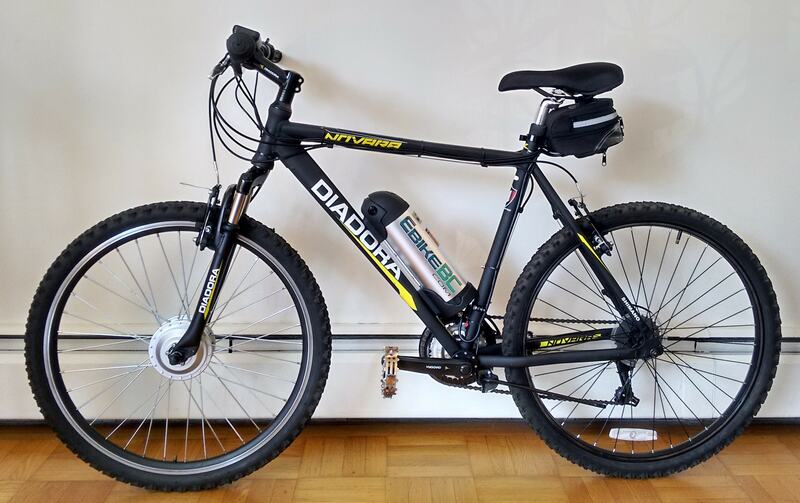 I decided to buy a highly-rated chain lock to protect my new investment, and I like that the battery can be easily removed so that I don't have to leave it on the bike when I lock it up (HOPEFULLY deterring thieves.....who would steal an eBike with no battery??! !....then it's just a "regular" bike that's crazy heavy...) Anyways, I give two thumbs up so far in my short time on the ebike! Happy riding! 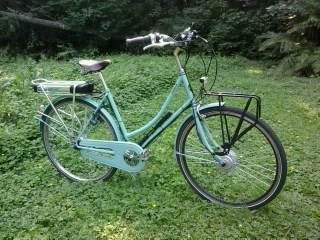 I have converted two older Schwinn bikes. 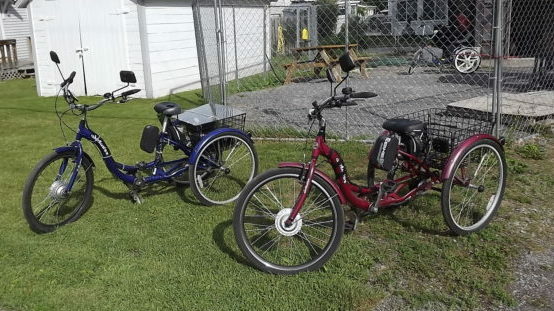 The first with a rear hub motor and the second with a front hub motor. The install was easier for the front hub and really can't notice the difference when riding the bikes. Support by email and chat was excellent. Ali was always available with advice and to answer questions. 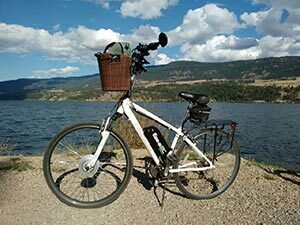 Having an ebike has definitely put the fun back in biking - the river valley hills used to be a problem but now they no longer exist. 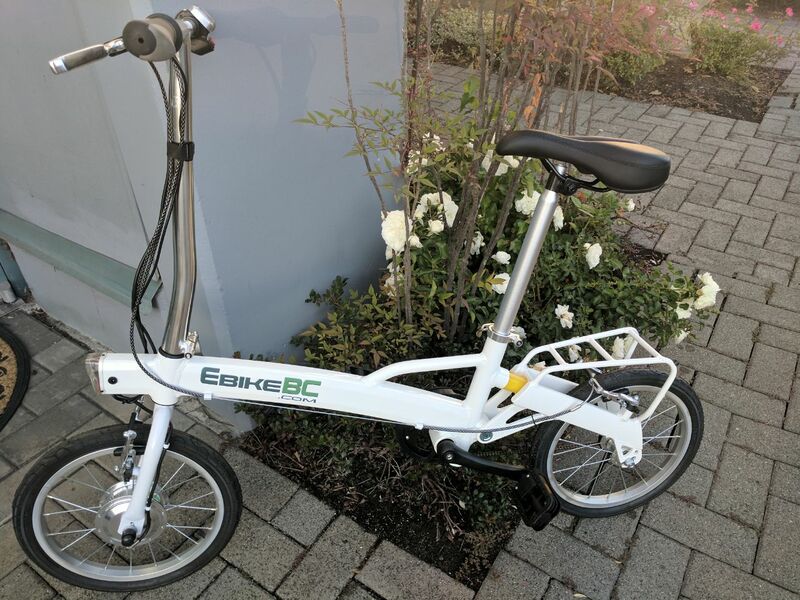 Thanks ebikebc! 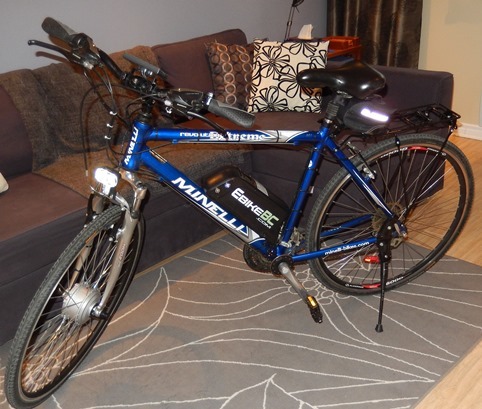 Calgary, Alberta (Boomer Bike) My completed eBike conversion of a 2013 Norco Indie commuter. The conversion was surprisingly easy, and I now have a new way of exploring my world. 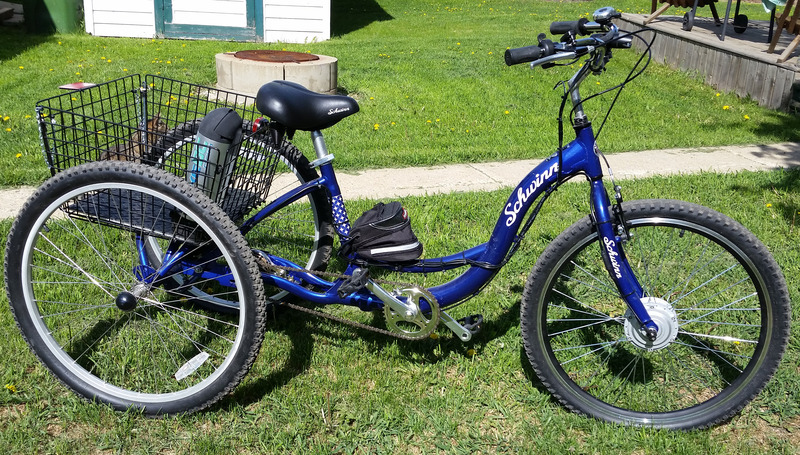 I'm 65 and weigh 230 lbs and needed enough power to pull me around comfortably. The 36 volt 500 watt conversion kit does this nicely. 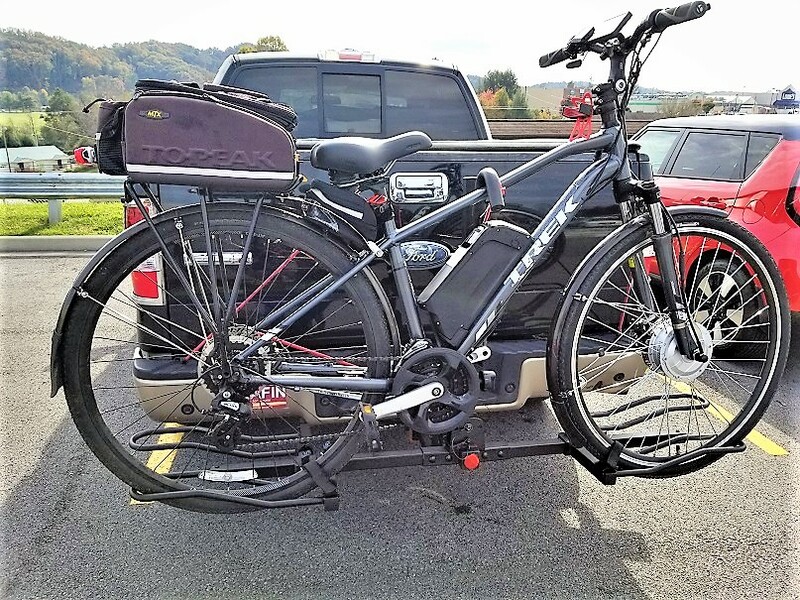 Next time around I would order the largest battery possible, as I can see this new eBike replacing my car for many shorts trips around town. I especially enjoy the pedal assist function (PAS) that lets me dial in the precise amount of exercise that I can handle. I am in love with this kit! It made one of my dream come true. 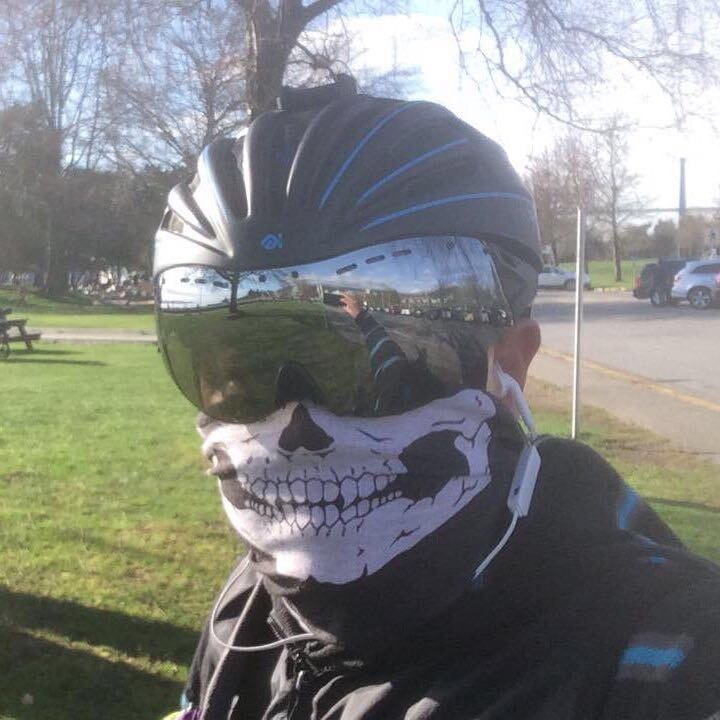 Pros : I live about 35km away from my job and only had my mountain bike. Going there and coming back was a near impossible project as it took just under 2 hours going and same when going back to my place with my normal mountain bike. With this kit installed (500w D50 motor + 17ah battery), I manage to do this mainly on pedal assist level 4 + full throttle for a second when traffic lights goes green (to help with the starts) in about 1h05min, speed and lenght being my main concern when buying this kit. Just to compare, going to work in public transit takes the exact same time as the ebike and going by car could take up to 1h30min. 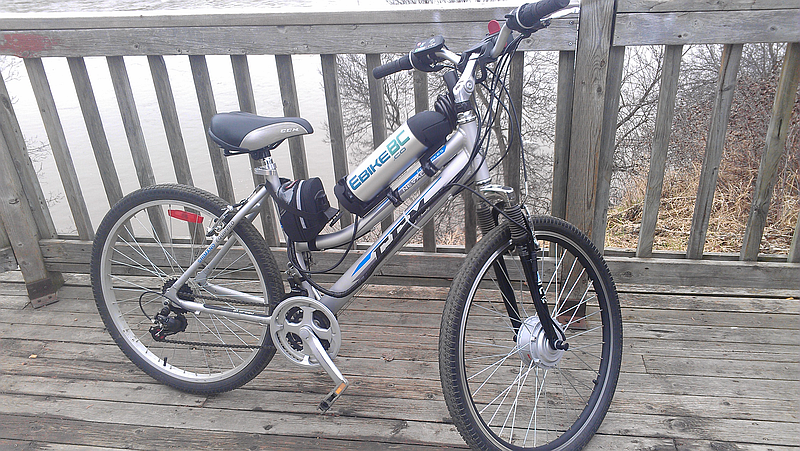 Using this bike, I consider I even save more time as I don't have to go to the gym for cardio afterwards. I charge the battery when at work (17ah with the normal charger takes about 6h30) and when home so it's always ready. My average speed with this kit is 35km/h and I can go to 40km/h in under 5-6 seconds (approx.) laws not being an issue as far as I know in Quebec. So far, my objective is to do it at the very least if the weather permit it 2 times a week and having it for about a month, it has always been possible! 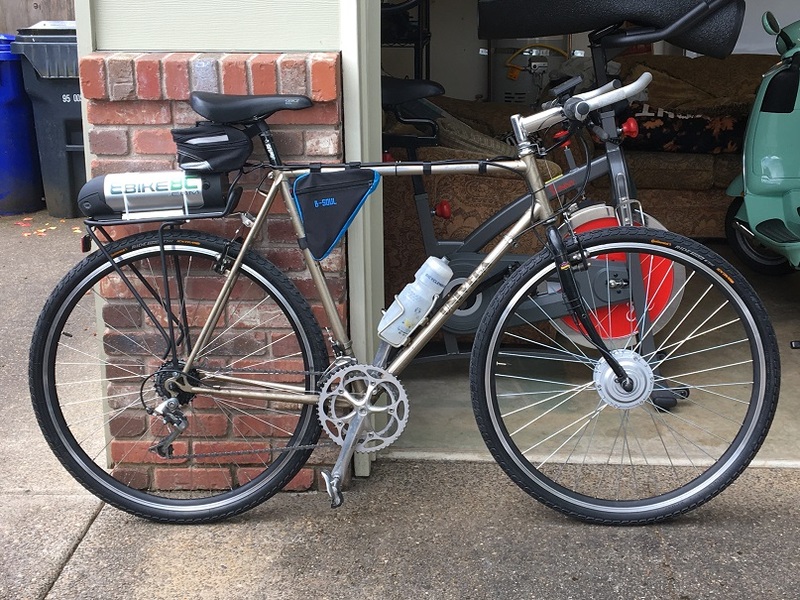 My only cons : I tried without success to install a rear version of the kit first as my 10 speed mountain bike cassette was taking too much space making the rear wheel not centered. I contacted the support and they switched it with a front version without any hassle. Bottom note : Just contact the support if you are in the process of buying a kit, they will guide you very well with the differents options you can get for your needs! Thanks Ali for all the great support! Purchased a D50 kit to put on a Giant Revel 2.Installation using the support videos and online manual was quite easy.Have had the kit on the bike for about 3 weeks now and am very satisfied with it.Can do longer and hillier rides with a lot more confidence as well not needing to worry about parking at the local lakes. 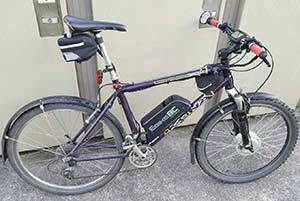 I converted my well worn and well maintained 2004 Brodie Energy hybrid to the D-50 E-Bike kit. Not only was the delivery super fast, it was easy to put together and the result is beyond my expectations. The total net weight gain to my bike was just under 10 lbs. Brodies original 'Energy' insignia on my bike is humorously ironic as well! I'm looking forward to getting back to commuting to work under *my* terms and conditions. I'm able to vary my assist level as I wish an obtain the level of exercise suited for my situation at the time. (I'm talking about those Monday mornings many of us dread) Previously, I had tried to rationalize with the hills and ask for mercy, but they always seemed to ignore my pleas. Thanks Ali. Works like a charm (even though I thought I'd surely screw something up at assembly). 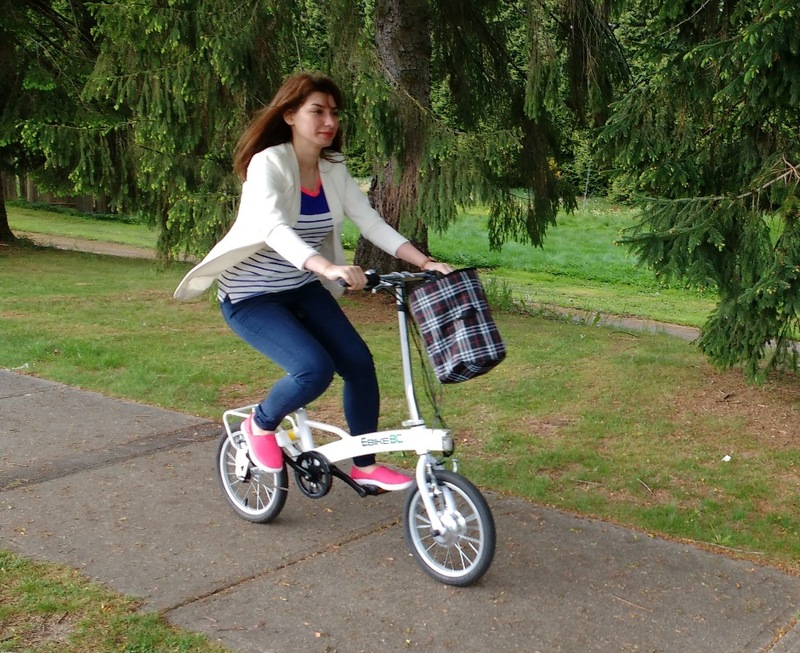 Built on rather small framed and cheap Canadian Tire "girls" bike. Due to this, as the picture shows, I had to improvise a little with the control-box containing bag and I also spent half a day figuring out how to workaround the curvature of the handlebar, including ripping apart the throttle (metal from plastic part) in order to push it to the middle etc. Obviously I could have just gotten another handlebar from a store, or cannibalize it from any bike, but eventually it all fell into place naturally. The rubber grips are "hanging out" or protruding about 1 cm off the bar's ends, but you don't realize that while riding. Excellent kit. Cheers. 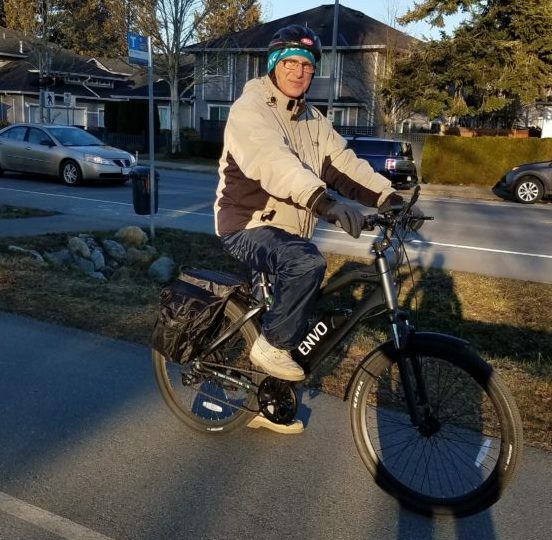 Love my ebike kit from Ebikebc. 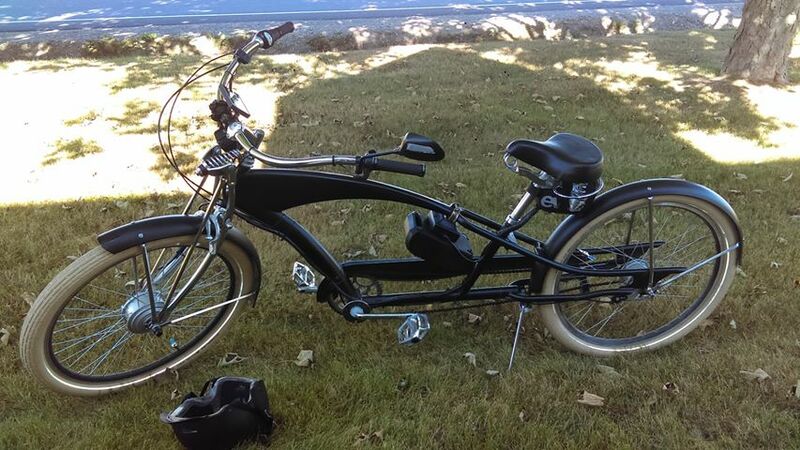 I was looking for an ebike solution that wouldn't break the bank and would meet all my needs. 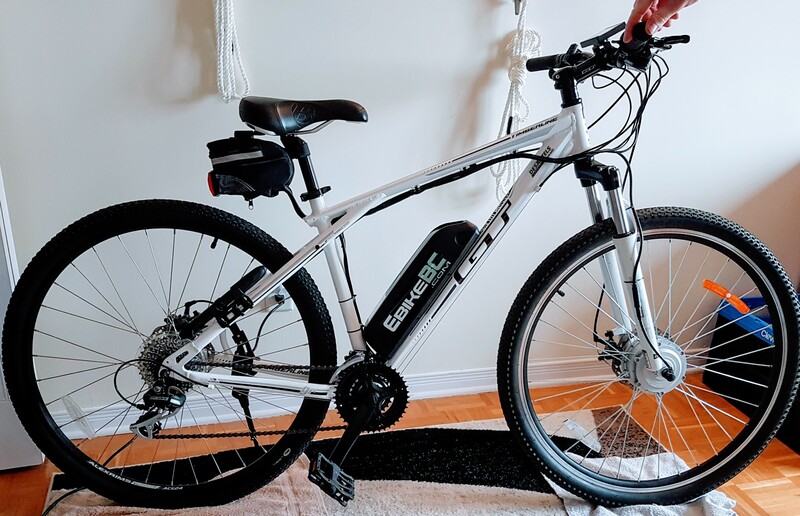 After doing alot of online research I settled on the ebikebc kit, much cheaper than purchasing a complete E-bike, I could use one of my current bikes.I purchased in October 2016 and it was easy to install myself and the support was great. Any questions I emailed them about were answered quickly and professionally. I commute daily 50kms with many steep and long hills but they aren't a problem anymore. 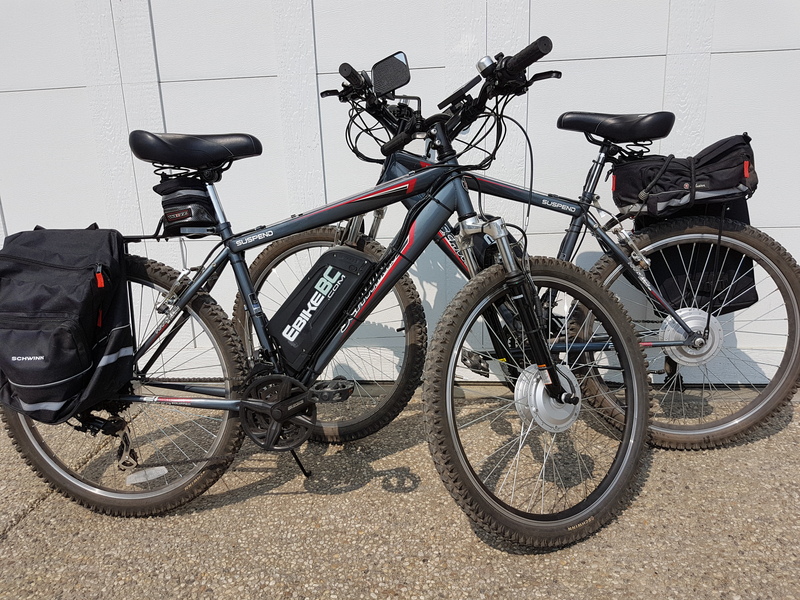 Since I am an avid rider I was worried about getting an ebike, thinking that I would choose to use the motor all the time and get lazy, however, I find that I only use it for the hills and still use my own power for regular riding. My knees are thanking me and I find my ride to work more enjoyable since I don't have to dread the brutal hills in our area. I also love that I can easily move this from one bike to another if I choose within an hour. 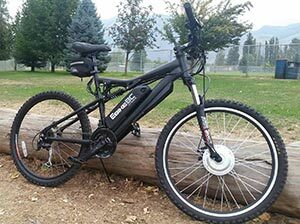 I would recommend using ebikebc for all your ebike needs, the price, service and support are great. 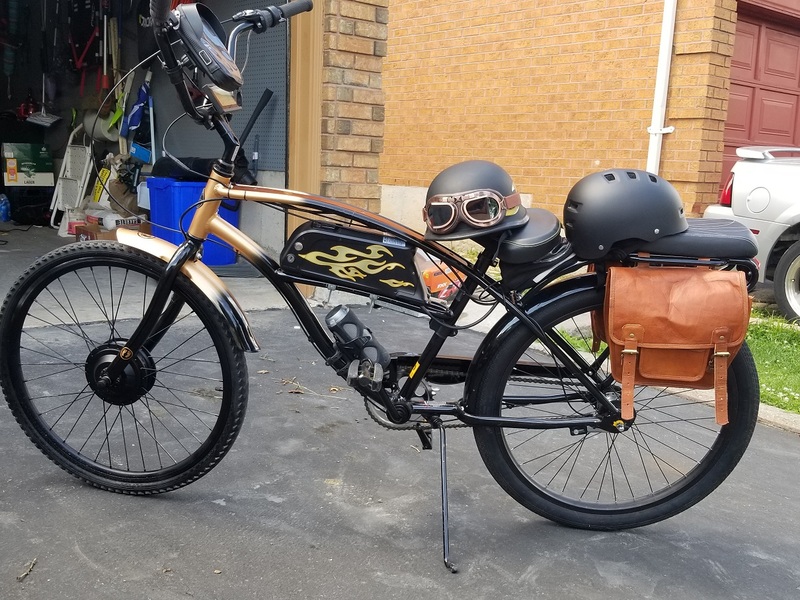 Very pleased with my new ebike conversion. I love my norco hybrid and did not want to change bikes. Having the motor on the front hub works very well. This way I kept all my stock gears so I can use my bike as a regular 21 speed or just a quick push of the button and I have all the power I need to tackle a big hill. Rode 45 km from Ladner to downtown Vancouver and still had half of my battery's power to take me farther. I purchased the 350 watt front hub conversion. I was Very impressed with the customer service and the quality of the kit. 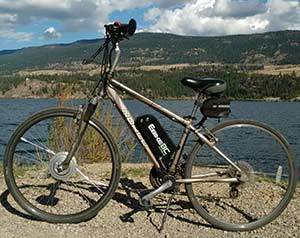 I would gladly recommend EBIKEBC! 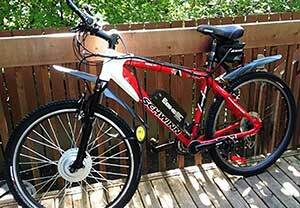 I purchased 650-350W E Bike Kit Lizard Battery case Li-Ion Samsung Front Hub Motor. Kit was better than expected and customer service was excellent. Would buy again. 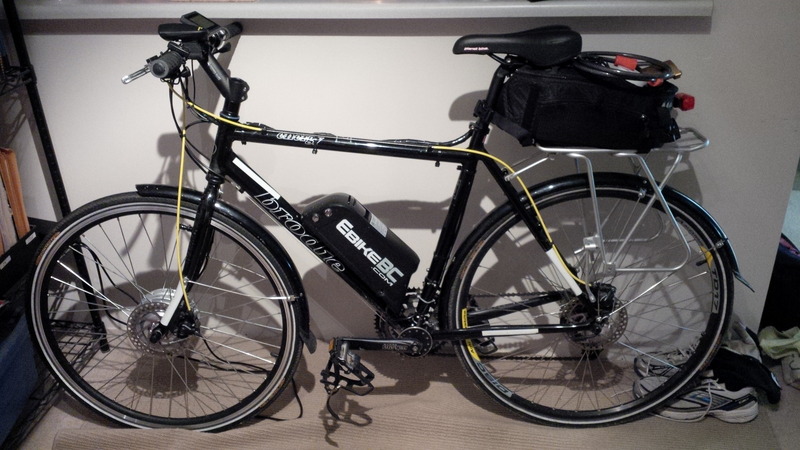 I assembled the eBike kit on the day it arrived and in the three days since then have put over 120 km on the system. I'm really enjoying the kit you have put together and it is a lot of fun to use. The larger 14.5 Ah battery is really nice to have and I appreciate you guys suggesting it as an upgrade. On pedal assist mode 4 the bike got 72 km yesterday which is amazing!